The book, which'll be released this February, chronicles all of the data collected by September- a strange 'watcher' that exists between worlds and has been tracking the show's main characters for a long time. 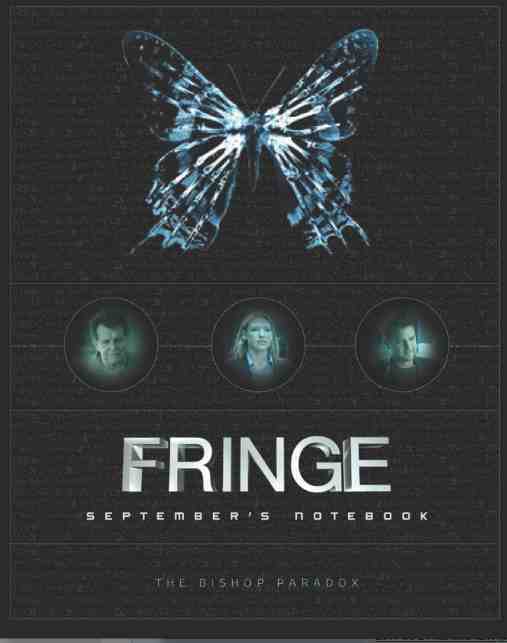 September's Notebook will be chock full of cool info and inside information not found in Fringe's episodes. You can enter the contest right here on Insight Edition's Facebook page. Win and you're name will appear in the listing of Fringe Division's personnel roster that is printed in the book. Pretty cool stuff if you're a big fan. You'll also get a free copy of the book for yourself- no dimensional shifting required. 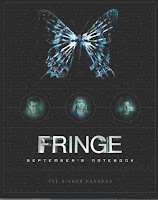 Fringe is entering it's final season on Fox this September (coincidence?) the 28th. Look for September's Notebook to warp onto store shelves this coming February. The September's Notebook sweepstakes is now open to all entrants and will close on August 31st at 12pm PDT.